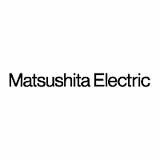 Matsushita Screen Replacement and Laptop LCD Repair in NSW, Sydney Australia. We provide Matsushita Laptop Screen Replacement and Repair services in Sydney and Australia. Laptop LCD Screens also specializes in the sale of laptop LCD screens for Matsushita Screen Replacement.